A week ago, my 13-month old nephew came to visit, with my brother and sister-in-law, which was lovely! Wendy thought that he might be entertained by stickers, and she seemed to have great fun playing with him and them. 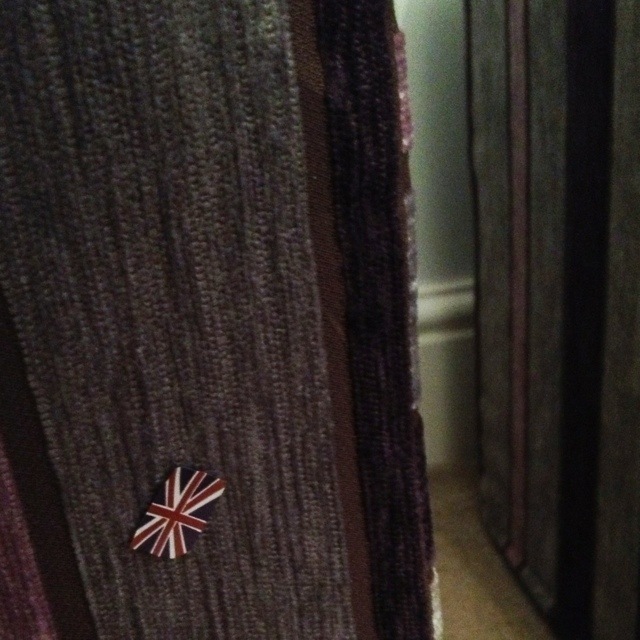 A week later, I’m still finding stickers around the house… but I’m not entirely sure which of them is to blame! This 1,880th post was filed under: Photo-a-day 2012.